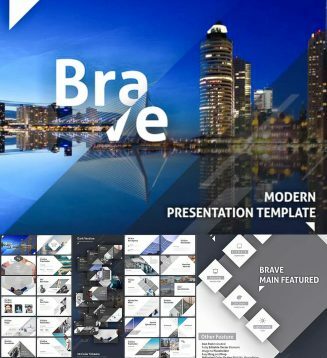 Minimalist and flexible PowerPoint presentation template, perfect for presentation corporate and personal use. Very easy to change the color schemes. Just pick one of 20+ color themes in your PowerPoint, including 20 custom color choice and the entire template will change to the color theme you have been chosen. In this pack you will find: 20 Extra Color Scheme in PPTX , Ready 54 XML Files, Unlimited Color Options, 122 Master Slide Layouts (Light and Dark Version), Widescreen & Normal Screen Aspect Ratio (16:9 & 4:3), Handmade Infographic etc. File format: .pptx, .xml for Photoshop or other software. Tags: advertisement, business, corporate, creative, dark, diagram, Elegant, enterprise, entrepreneur, flow chart, infographics, maps, marketing, minimalist, powerpoint, powerpoint slides, pptx, presentation.